Russia’s laws and practices against gay citizens have been well documented leading up to the games, exposing harsh practices and the need for change. 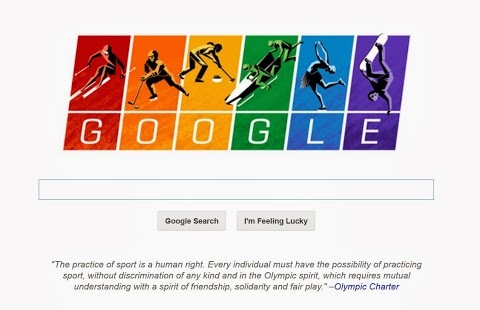 Google welcomed the games with this doodle, which included language directly from the Olympic charter reminding us all the intended spirit of the games. Here’s to hoping that the pressure to provide equal rights will last longer than the games.